Even if you've never been to a Texas roadhouse, chances are you've had roadhouse ribs. They're hearty and juicy, and like all good ribs, they fall right off the bone almost as soon as you pick them up. Thanks to the recipe that follows, you can enjoy them at home anytime you want! They do take a little bit of time, so they may be more of a weekend meal for some. But that won't stand in the way of how delicious they are! Baby-back ribs really are the best cut of ribs when trying to mimic roadhouse ribs. They're the most tender of all the ribs and perhaps, most importantly, have the most meat on them. So you'll be able to fill even the biggest appetite for that cowboy you know! Remove membrane from back of all ribs. Add the dark ale, onion and smashed garlic cloves to a large casserole dish (metal preferably, but glass will work too). Add ribs to the ale mixture. Cover casserole dish tightly with aluminum foil and place in oven. Bake ribs for 3 hours or until they are tender and start to easily come apart when lightly pulled. 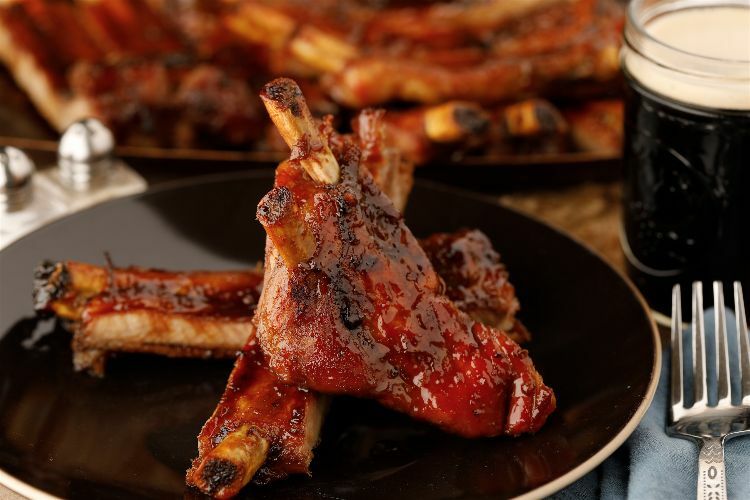 While ribs are cooking, combine molasses, grape preserves, balsamic vinegar, honey, dry mustard, minced garlic, hot sauce and lime juice in a medium-sized saucepan. Bring glaze to a boil and let boil for 5 minutes. Remove from heat and set aside until ribs are finished cooking. 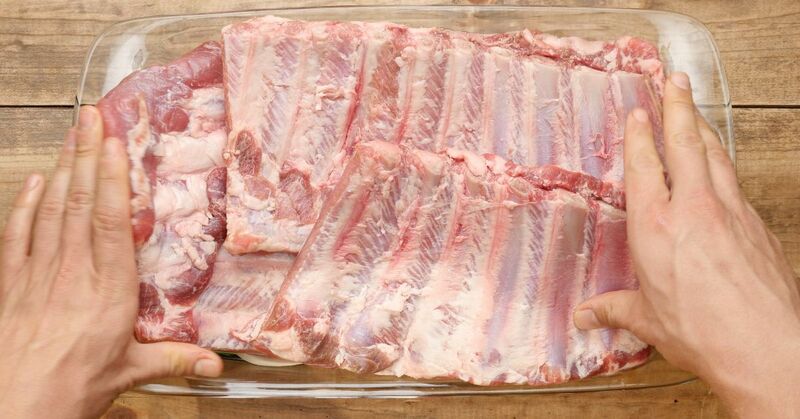 When ribs are finished cooking, remove from braising liquid and place on a baking sheet (or two, depending on how many you need to fit your ribs). Brush the glaze mixture entirely over ribs. Place ribs under the broiler and broil for 2 to 3 minutes, until glaze is hot and slightly charred in some areas.